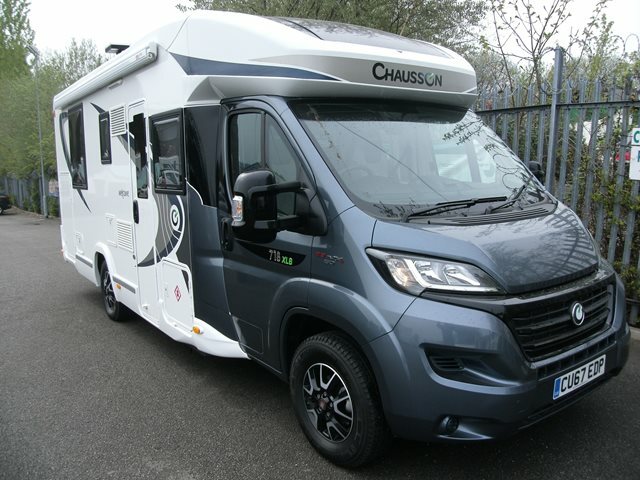 Our used Chausson Welcome 718 XLB is shown below, for more information please contact us. Roof mounted Truma air conditioning. Cassette toilet & separate shower.